Lulu Ash discusses her practice and the work shown in the exhibition Urban Farming in London and Havana. 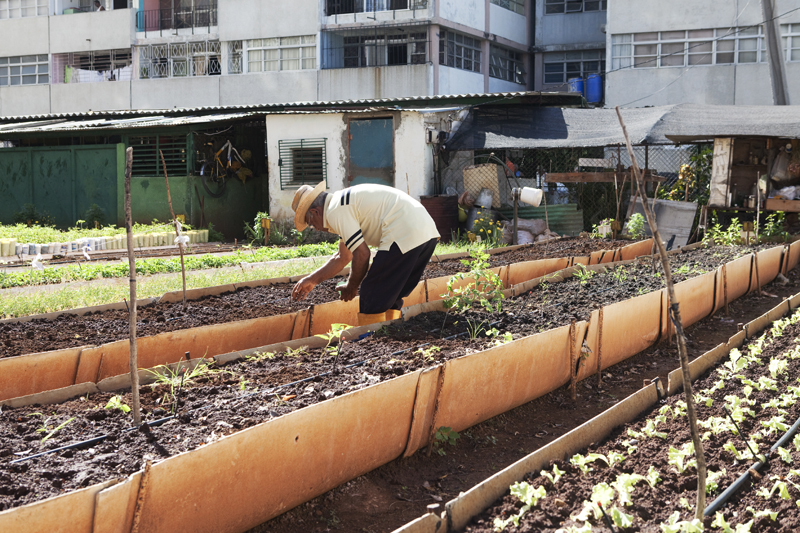 This project commissioned and curated by FotoDocument, documents the development of community food growing spaces and the repurposing of derelict land in separate photo essays in the UK and Cuba. Ash’s photographs depict urban landscapes, intimate portraits and farming in action and show how on both sides of the globe, urban farming brings benefits in health, safety, employment, community cohesion and the wider environment. Lulu Ash is an emerging British photographer who graduated with a BA Hons in Photography from University College Falmouth in 2009. Since then she has documented traveller communities living in rural poverty on the fringes of society in the UK and she has worked as staff photographer for Westcountry Photographers. 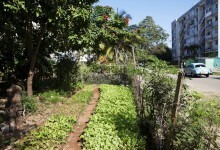 Lulu Ash, Urban Farming in London and Havana. © Lulu Ash/Fotodocument.